Large size studio apartment. 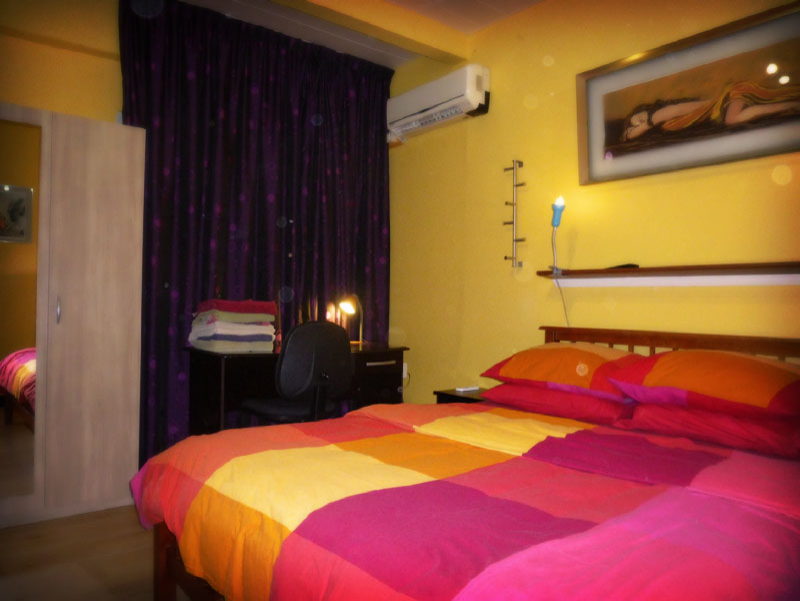 A beautiful private studio (30m2 or 330 sqr ft) suitable for maximum: [2 adults] or [1 adult and 1 child] . The setting, location and facilities of the apartment make it very suitable for leisure and holiday stays. A beautiful private 1Bedroom apartment (32m2 or 352 sqr ft) suitable for maximum: [2 adults] or [1 adult and 1 child] . 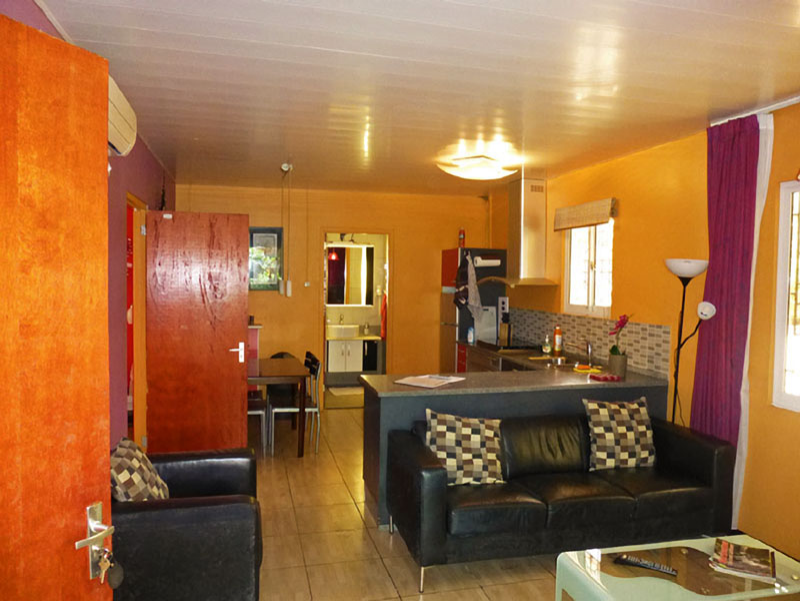 The setting, location and facilities of the apartment make it very suitable for leisure and holiday stays. Garden/Swimming pool view. Queen size bed. A beautiful 1Bedroom private apartment (56m2 or 616 sqr ft) suitable for maximum: 5 persons of wich maximum 3 adults and/or maximum 3 children. The setting, location and facilities of the apartment make it very suitable for leisure and holiday stays. Garden view. King size bed in the bedroom and 1 bunkbed in the large livingroom (140x200cm + 90x200cm). A beautiful private apartment (56m2 or 616 sqr ft) with 1Bedroom and 1Bathroom suitable for maximum: [2 adults] or [1 adult and 1 child] . The setting, location and facilities of the apartment make it very suitable for leisure and holiday stays.Swimming pool view. Queen size bed in masterbedroom. A beautiful private bungalow (48m2 or 520 sqr ft) suitable for maximum: [2 adults or [1 adults and 1 child] . The setting, location and facilities of the apartment make it very suitable for leisure and holiday stays. Swimming pool view. King bed. A beautiful private 1Bedroom apartment (56m2 or 616 sqr ft) with 2Bathrooms suitable for maximum: [2 adults] or [1 adults and 1 child] . The setting, location and facilities of the apartment make it very suitable for leisure and holiday stays.Garden/Swimming pool view. King size bed in masterbedroom. This apartment is one of our 1bedroom+2bathroom apartments. A beautiful private apartment (88m2 or 950 sqr ft) suitable for maximum: 2 people . 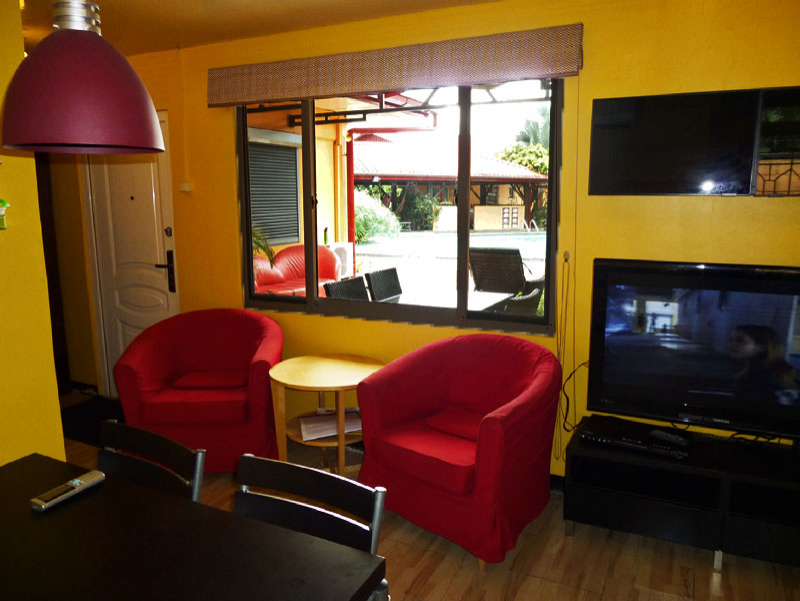 The setting, location and facilities of the apartment make it very suitable for leisure and holiday stays. Garden view. King size bed in master bedroom. A beautiful private 2Bedroom apartment with 1Bathroom (56m2 or 616 sqr ft) suitable for maximum: [3 adults and 1 child] or [2 adults and 3 children] . The setting, location and facilities of the apartment make it very suitable for leisure and holiday stays. Swimming pool view. Queen size bed in master bedroom, bundbed in second bedroom (90x200+140x200cm). A beautiful private bungalow (54m2 or 594 sqr ft) suitable for maximum: [4 adults and 1 child] or [2 adults and 3 children] . The setting, location and facilities of the apartment make it very suitable for leisure and holiday stays. Swimming pool view. Masterbedroom with King bed, second bedroom bunk bed (90x200+140x200cm). A beautiful private apartment (90m2 or 990 sqr ft) with 2 bedrooms and 2 bathrooms. Suitable for maximum: [4 adults] or [3 adults and 1 child] or [2 adults and 2 children] . The setting, location and facilities of the apartment make it very suitable for leisure and holiday stays. Garden/swimming pool view. King size bed in master bedroom with ensuite bathroom and queen size bed in the second bedroom. This is one of our 2bedroom+2bathroom apartments. A beautiful private apartment (104m2 or 1140 sqr ft) suitable for maximum: 5 people . The setting, location and facilities of the apartment make it very suitable for leisure and holiday stays. This is one our 3bedroom+2bathroom apartments. 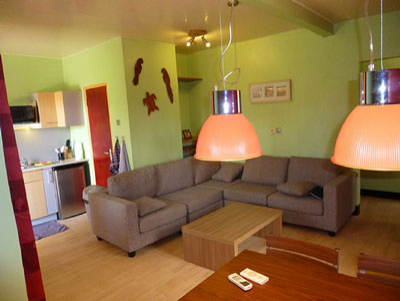 A beautiful private apartment (120m2 or 1320 sqr ft) suitable for maximum: 7 people . The setting, location and facilities of the apartment make it very suitable for leisure and holiday stays. Garden view. King size bed in master bedroom, queen size bed in second bedroom and queen size bed and single bed in third bedroom, size comfortable bed(s) 2x 180x200, 1x 160x190, 1x 90x190cm. 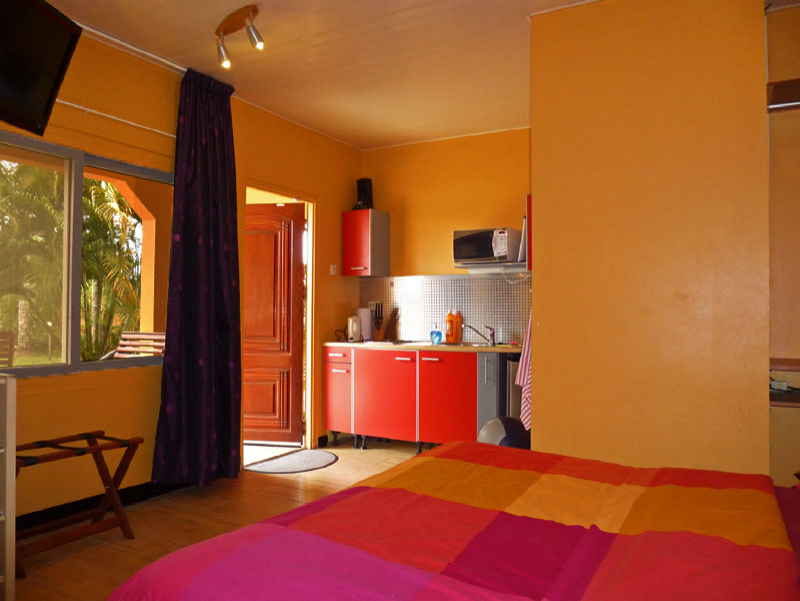 A fun, colorful and spacious apartment, fully equipped for a short break or even for long stay. The property is situated on a spacious yard in a quiet area 3 km from the center, Charlesburg. The property is fully air-conditioning, spacious living room, spacious kitchen with full cooking utensils and washing machine, large outdoor terrace, hot and cold water, bathroom, 2x bedroom, free internet, satelitetv Dutch (BVN). 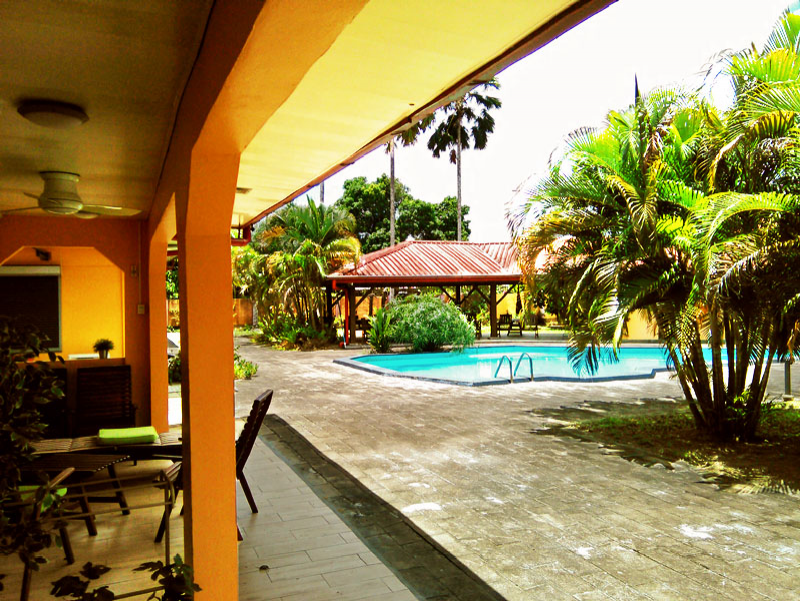 This property is managed by Kekemba Resort Paramaribo. 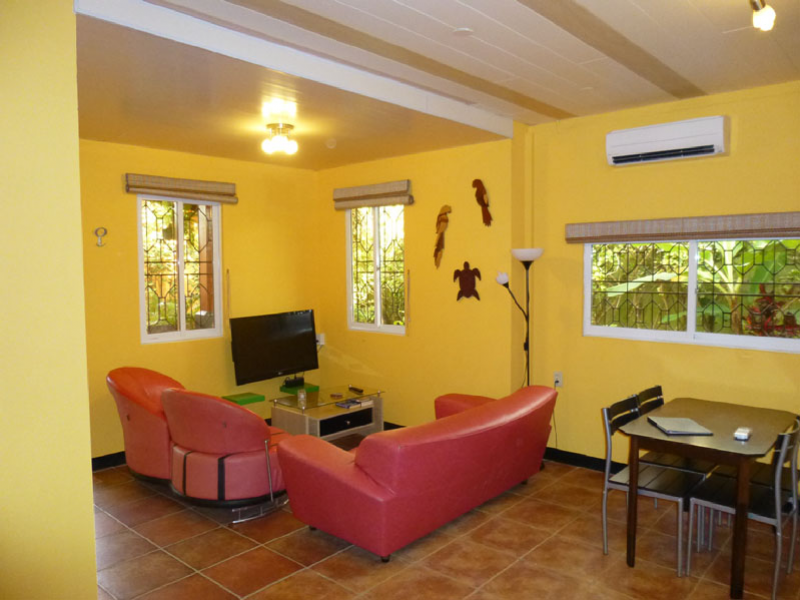 As a tenant of this property also have free use of the facilities of the Kekemba Resort Paramaribo (pool, hot tub, hammocks and lounge chairs). There are no rooms available on the selected dates. 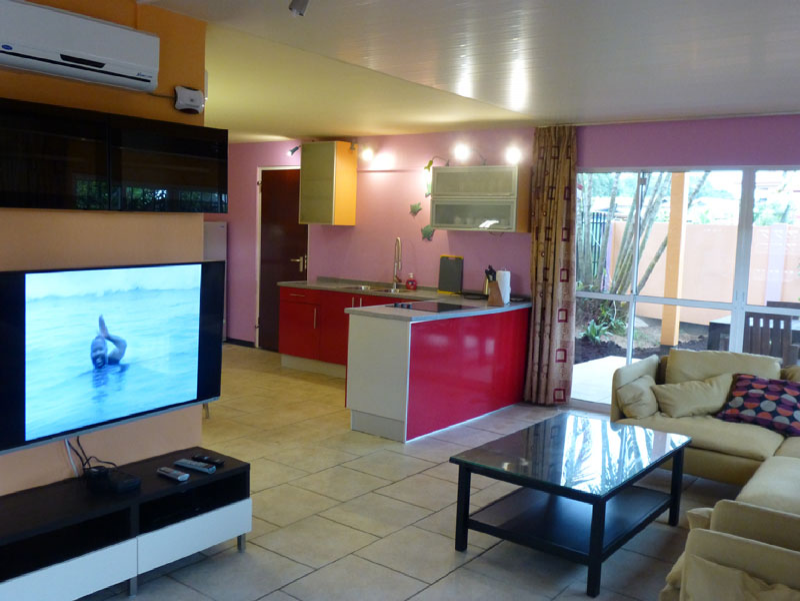 You are looking for an apartment in Paramaribo which amply meets your minimum European quality demands, tropical surroundings and swimming pool: Kekemba Resort Paramaribo is the right place to be. We at Kekemba Resort Paramaribo have a 3 star rating granted by the OAS caribbeanexperiencesTM branding and rating system. Kekemba is the place in Paramaribo for a quality holiday resort. 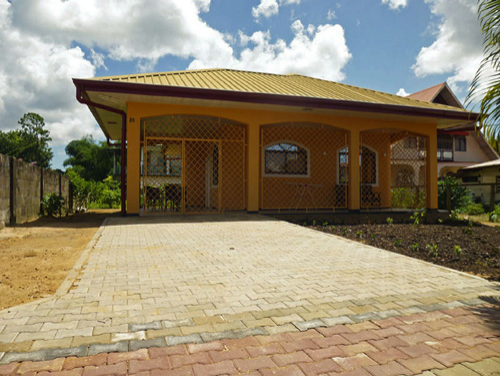 All apartment are fully air conditioned, a must in the tropical climate of Suriname. And a swimming pool for a relax cooling down.